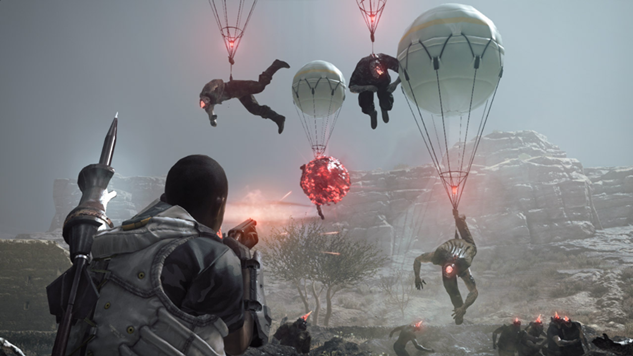 Metal Gear Survive has launched to a middling response so far, but a new revelation is quickly shifting reactions further toward anger. Konami previously revealed the presence of microtransactions in the game, but one that wasn’t included in that brief has provoked the ire of fans. According to IGN, players who want to utilize additional save slots in the game will either have to delete their current character or purchase another save slot with real money, and it will run players around $10 to do so. The extra slots cost 1000 Survival coins, the Metal Gear Survive in-game currency, but, other than the 30 Survival coins players get for logging in daily, the only method of acquiring that currency is by purchasing it with real money. Survival coins aren’t sold in increments of 1000, forcing players to purchase 1150 coins for $9.99 as the minimum cost for purchasing the ability to have more than one concurrent character. It’s not the only surprising practice hidden with the small text of the game. Earlier this week, journalist Matt Paprocki revealed that the title’s EULA prohibits players from dating one another or allowing relationships to blossom via the game, among other things.